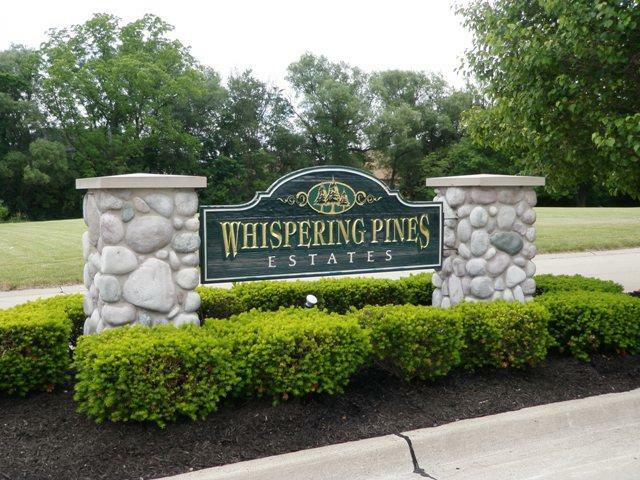 Whispering Pines Estates is an executive style homes subdivision with just over twenty homes within it. This sub is located at 7 Mile and Wayne Rd in northern Livonia Michigan. Most of these homes are well over 3000 sq. ft. and seem to be built with a high level of quality. Whispering Pines Estates has only one way in and one way out so there should be relatively low street traffic as this is like living on a cul-de-sac. Many of the local residents have commented to me they love how quiet the sub is but also offers a great location to just about all modern conveniences. The local school district for this area is LIVONIA PUBLIC SCHOOLS with LIVONIA STEVENSON as the high school. If you or anyone you know is looking to buy or sell real estate in the near future feel free to contact us at BOBANDTEENA@YAHOO.COM anytime. We would love to assist you with all of your future real estate needs. The first picture you see of these two is of the sub entrance island as you first enter Whispering Pines. As you can see this sub has an entrance and exit side for the local residents and visitors. The next picture is of us all the way in the sub looking back out toward the entrance sign. 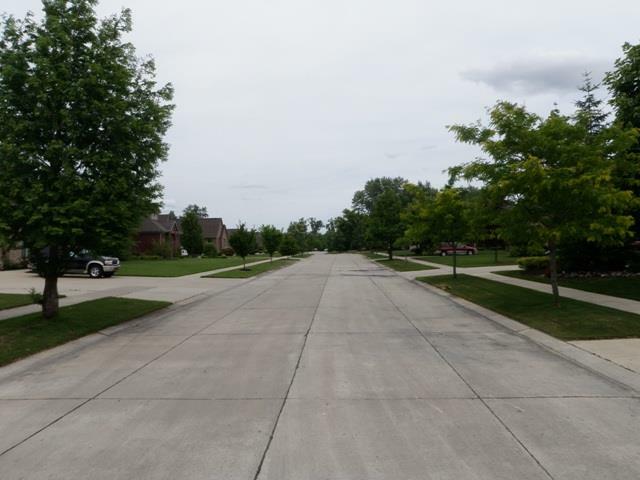 You will notice from the moment you enter this neighborhood how well kept the homes and yards are. The residents of this neighborhood really show they have a tremendous amount of Home Ownership Pride. I put a few interactive maps below for your enjoyment. Feel free to use them to learn more about the area. Whispering Pines Estates has a very convenient location to get to just about anything you could want pretty quick. 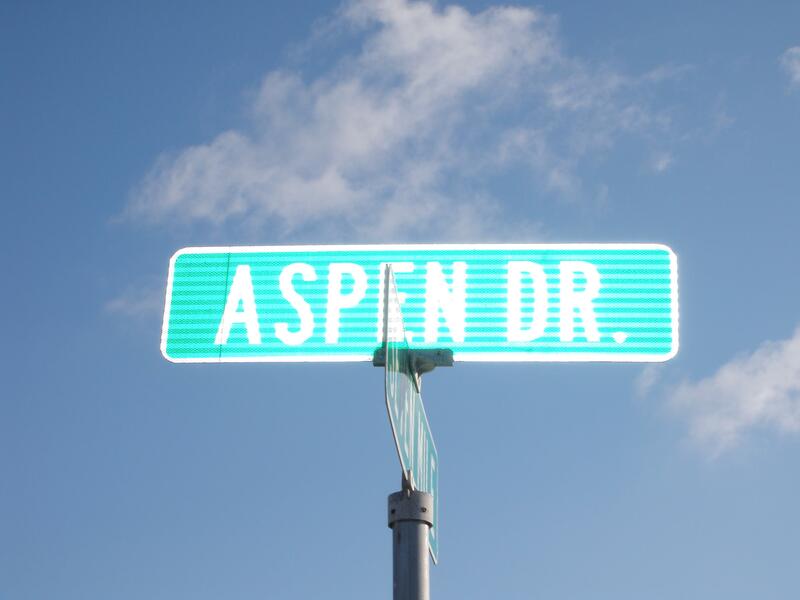 The first picture is of the sub street sign, there is only one street for Whispering Pines and that is Aspen Dr. The next picture is of Bicentennial Park which is basically right across the street from the sub. 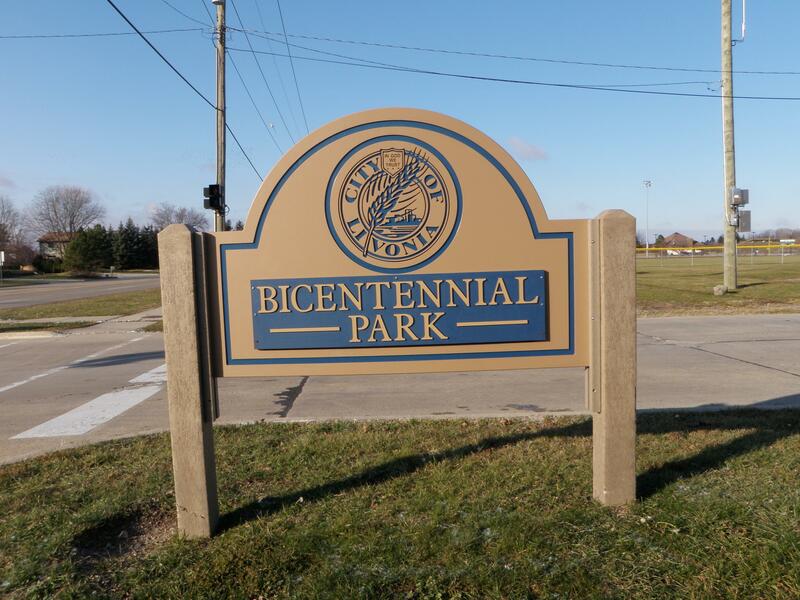 Bicentennial has a lot to do such as ball fields, walking trails, tennis courts, play ground equipment and even the local fire station. Laurel Park Place mall is only about a 5 minute drive away from this sub. 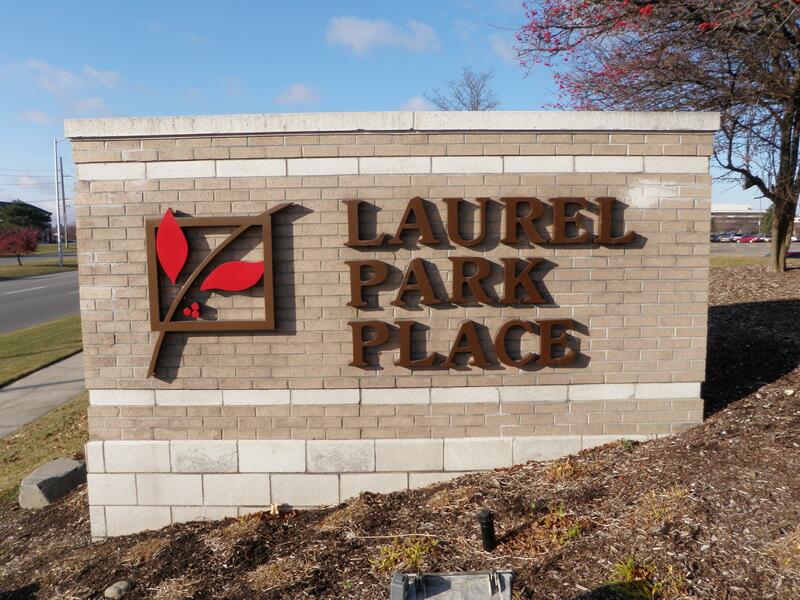 Laurel Park offers good shopping, mall walking, food court and movie theaters. 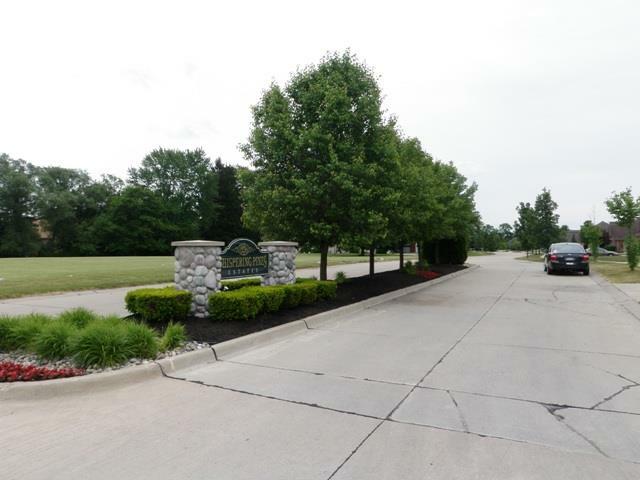 Whispering Pines is also close to healthcare (St Mary Mercy Hospital), expressway (I96 & I275), downtown Detroit in about 25 minutes, grocery shopping and much more. Please feel free to call/text me with any real estate related question or concern you may have at 734-578-6561.